When Shaggy was only 5 months old our Seattle veterinarians noticed that he was already developing inflammation of his gums, or gingivitis. Usually pets don’t develop this until 2 years old at the earliest and it is usually associated with heavy accumulations of tartar. We tried feeding Shaggy a diet specially formulated to clean teeth and prevent gingivitis, but his gingivitis continued to worsen very quickly. Shaggy has a condition called stomatitis. Stomatitis is extreme inflammation of all of the gingival tissue, starting at the gum line and progressing upward. 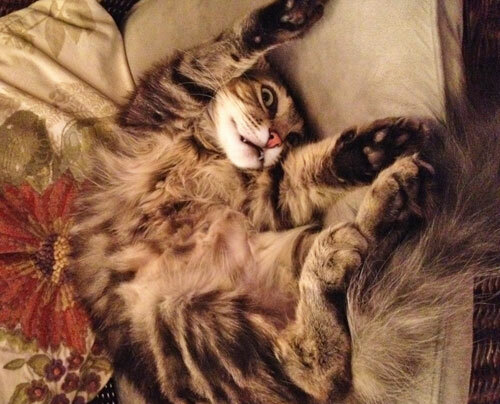 We do not know why cats develop this but it is thought to be an immune-mediated illness. These cats seem to be “allergic” to plaque, tartar and even their own teeth. 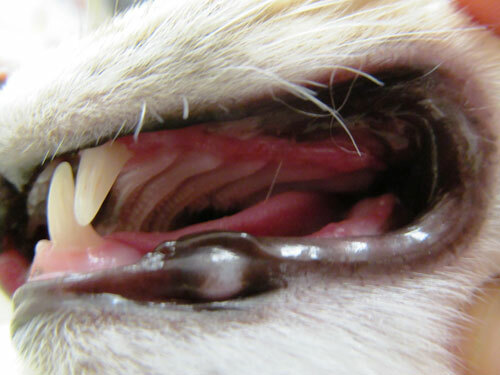 Stomatitis is extremely painful, although most cats continue to eat and act normally. 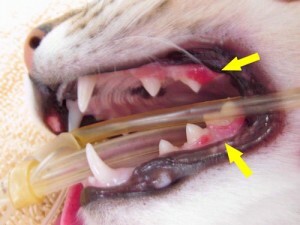 Many owners have no idea that this is happening in their cat’s mouth. There are a number of treatments for this disease including dental cleanings, steroid administration, laser therapy, and regular tooth brushing. Unfortunately, these usually only provide very temporary, if any, relief. Dental experts have determined that removing all or most of the teeth is the most successful way to manage this disease. While it may seem extreme, nearly all cats are much more comfortable, and their gums are healthier, after their teeth have been extracted. You may think a cat with no teeth would have difficulty eating but, in fact, once the gum disease resolves, they feel so much better and some even continue to enjoy dry food. You can see how red Shaggy’s gums appear in the first photo and how they seem to “grow” over the teeth. Luckily we identified Shaggy’s condition early and treated with extraction of his cheek teeth. He was able to keep his canine teeth and incisors. Shaggy recovered very quickly and you can see in the second photo how great his mouth looks once he healed from surgery and his teeth are no longer there to make his gums so angry! 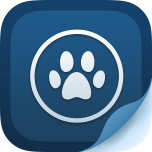 You need to rely on your own veterinarian and a dental specialist in your area to guide your decision. We can’t give out medical advice for patient’s we have not seen.